← Coaching, Baseball, and the Bible . . .
Is it your “opinion” or a fact? Opinion is when the assent of the understanding is so far gained by evidence of probability, that it rather inclines to one persuasion than to another, yet not without a mixture of incertainty or doubting. 4. Obstinacy in holding to one’s belief or impression; opiniativeness; conceitedness. [Obs.] Shak. 5. (Law.) The formal decision, or expression of views, of a judge, an umpire, a counselor, or other party officially called upon to consider and decide upon a matter or point submitted. Noah Porter, ed., Webster’s 1913 Unabridged English Dictionary, (Springfield, Mass. : G. C. Merriam Co., 1913), WORDsearch CROSS e-book, Under: “Opinion”. Why do I point these particular words out in the definitions above? Simple. This is especially true in a society that embraces the very thing which the text prophesied about as a warning concerning the end times: self-love . . . narcissism. The problem is that opinions are NOT facts. If they were facts, they would be called facts and not opinions. As simple as that may sound, the reality is that when people are presented with an opinion, they make a judgment based on whether that opinion sounds, looks, or feels true. If it doesn’t, they discard the opinion. They rarely research to check to see if it is true. If it sounds good, or true, then they accept. The opinion becomes something more than a theory or opinion . . . it becomes a truth to them. or “consent” (Liddell-Scott; cf. Moulton-Milligan). must not, however, be judged by the Greek concept that “knowing” (the basis for decision, judgment, etc.) rests essentially upon observation (Bultmann, “ginōskō,” Kittel, 1:691; cf. pp.717f.). Thoralf Gilbrant, ed., “1100. γνώμη,” in The Complete Biblical Library Greek-English Dictionary – Alpha-Gamma, (Springfield, MO: Complete Biblical Library, 1991), WORDsearch CROSS e-book, Under: “1100. Î³Î½á½½Î¼Î·”. Would you like a couple of examples from the text of how the Greek word γνώμη gnōmē is used in the text? 10 Nevertheless, brothers, I call on you in the name of our Lord Yeshua the Messiah to agree, all of you, in what you say, and not to let yourselves remain split into factions but be restored to having a common mind and a common purpose. 25 Now the question about the unmarried: I do not have a command from the Lord, but I offer an opinion as one who by the Lord’s mercy is worthy to be trusted. As you can see in the 3 verses above, although an opinion can be trusted if the one giving it is trustworthy, it can also lead to splitting into different factions. That brings us to the modern times . . . TODAY. And although these doctrines may contain some truth, a lot of truth, or very little truth, religions are opinions none-the-less . . .
Lutheranism, Catholicism, Calvinism, Arminianism, Baptist, Assemblies of God, Mormonism, Islam, Jehovah’s Witnesses, Methodists, Messianic, Pentecostal, Charismatic, Judaism . . . long, long list. Sometimes, there are so many differing opinions within a group that they form new groups within the groups . . . There is more than one type of Lutheran There is more than one type of Catholic. There is more than one type of Calvinist. There is more than one type of Baptist . . . I believe Martin Luther’s opinion of what the text says and does not say . . . I believe the Pope’s opinion of what the text says and does not say . . . I believe John Calvin’s opinion of what the text says and does not say . . .
An just so the irony is not lost on anyone, I want you to remember that these religions started out as the opinions of an individual . . . The Lutheran religion is a result of individuals accepting Luther’s opinion as truth . . . The Catholic religion is a result of individuals accepting the Pope’s opinion as truth . . . The Baptist religion (most of them) are a result of accepting John Calvin’s opinion as truth . . .
Joel Osteen could be the eventual founder of Osteenism. Don’t laugh. He has 50,000 people in attendance at his congregation at any single service. Joyce Meyers could be the eventual founder of Meyersism. Creflo Dollar could be the eventual founder of Dollarism. Mike Bickle could be the eventual founder of Bickleism. Rick Warren could be the eventual founder of Warrenism. Peter Horrobin could be the eventual founder of Horrobinism. Again, a very long list. How do we differentiate between opinion and fact? How to we protect ourself from accepting opinion AS a fact? Until the Rabbi Sha’uls words were checked against the TaNaKh to see if what he said was true, to them, it was nothing more than an opinion. It didn’t become a fact (regardless of how it sounded or felt at the time) UNTIL it was checked against the TaNaKh! Today, not so much. People know their doctrines very well. They know the opinions of the men they follow, however, there is an absolute ignorance of the text itself (apart from these opinions – these doctrines of men) in the assemblies today that is staggering. It is actually heart-breaking! Their truth is literally someone else’s opinion of what the truth is . . .
On more than one occasion in, or during my teachings, I have had people tell me that what I was teaching was irrelevant because all they needed was the Ruach HaKodesh (Holy Spirit) to guide them. On other occasions, I have had people state that “so-and-so prayed about it” so what I am teaching or correcting is irrelevant. On one specific occasion, I had someone actually tell me that “they didn’t need to know what was in the text because they were guided by the Ruach HaKodesh (Holy Spirit). What you are teaching is irrelevant because all I need is the Ruach HaKodesh (Holy Spirit) to guide me. “So-and-so prayed about it” so what you are teaching or correcting is irrelevant. I do not need to know what was in the text because I am guided by the Ruach HaKodesh (Holy Spirit). Forget the possibility that someone else besides you may be an instrument of the Creator of all things. Maybe specifically sent or used to help you see an error . . . Forget the possibility that your opinion may be wrong . . . Forget the fact that the text itself was inspired by God through men (I don’t need the Holy Spirit, I just need the Holy Spirit) Nonsensical, huh? The list of possibilities is very long in these “forget” statements . . .
each according to the degree of faith apportioned by God to him. You see, we are told throughout the text not to elevate ourselves . . . to be humble. shall be raised to honor. but he who hates correction is a boor (stupid). and whoever can’t stand correction will die. will be at home in the company of the wise. but he who listens to correction grows in understanding. but the wise pay attention to advice. That leaves us with the final part of this post, the Greek word δόξα doxa. This is a word that has changed from its secular (non-biblical Greek) meaning to a different meaning because the Hebrew informs the Greek and not the other way around. It has the cognate (δοκέω dokeō) which means think, seem, suppose, appear. We have to understand this word before we can understand doxa. There are two basic functions of dokeō in classical Greek, and these largely continued to dominate throughout the early history of the term. Second, dokeō is used without an object (intransitive use); thus: “It seems (to me),” “to be supposed.” Sometimes in this usage dokeō was contrasted with reality— the supposed versus the real. Such an antithesis marked its role in the language of ethics (Kittel, “dokeō,” Kittel, 2:232ff.). Thoralf Gilbrant, ed., “1374. δοκέω,” in The Complete Biblical Library Greek-English Dictionary – Delta-Epsilon, (Springfield, MO: Complete Biblical Library, 1991), WORDsearch CROSS e-book, Under: “1374. Î´Î¿Îºá½³Ï‰”. 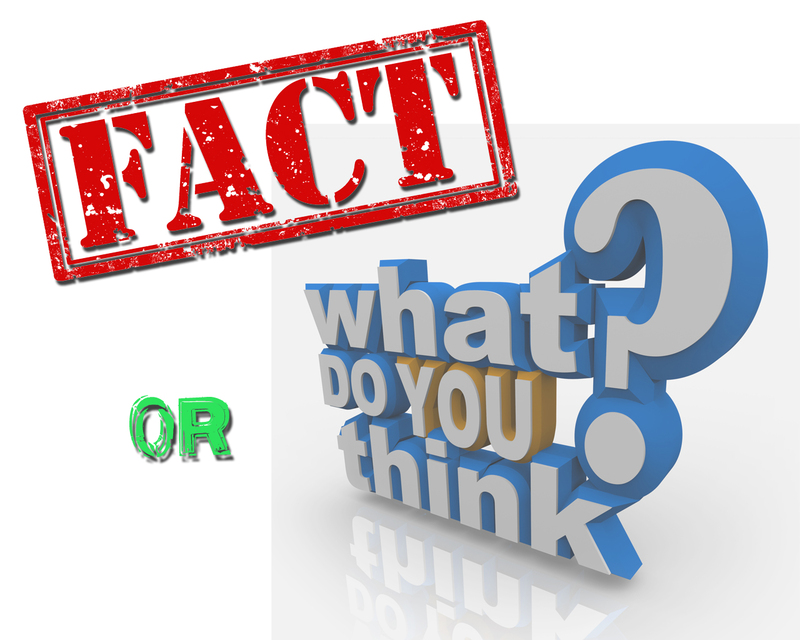 The “opinion” a person has about something may be involved, or it may refer to a belief someone has about another (i.e., “reputation”). However, the secular understanding of doxa is rarely, if ever, present in the New Testament. This provides another example of how the Septuagint and later the New Testament take a Greek term and radically alter it by invoking upon it the contents of a Hebrew counterpart. It has absorbed the more objective and absolute character associated in the Hebrew term kābod which denotes the majesty and splendor of God. Thoralf Gilbrant, ed., “1385. δόξα,” in The Complete Biblical Library Greek-English Dictionary – Delta-Epsilon, (Springfield, MO: Complete Biblical Library, 1991), WORDsearch CROSS e-book, Under: “1385. Î´á½¹Î¾Î±”. It is important to understand these distinctions of how the Hebrew informs the Greek. Jewish thinking is different than Greek thinking. Greeks search for the answers. Jews don’t have to have all of the answers. Greeks need all of the answers and they need to fit properly in their box. We don’t learn Jewish thought in our colleges. We don’t practice the Judaic method in our theorems and hypotheses, we apply the Socratic method . . . the Greek method. We could literally say that Jewish thinking is thinking “outside of the box.” All one has to do is look at Israel and all they have accomplished with so little and in spite of so much hostility worldwide to see some truth to this. However, we don’t follow a Greek God or a Greek text. We follow a Jewish text, a Jewish Messiah, Jewish talmidim (disciples) . . .
How can the Greek language and its mindset convey the Jewish mindset? It requires tweaking by the Jews writing letters (epistles) in the Greek to Greek speakers and writers, because although many Greek words were similar to Jewish words in basic understanding, the God of Abraham, Issac, and Jacob is expectedly absent from the Greek definitions . . . it is absent because they did not build their culture or language around Him or even acknowledge His existence. Christ in its strict sense of the word (Christos) did NOT mean anointed of God to do his bidding . . .
it meant smeared with oil. The Greek did not and would NOT make a word concerning a God they did not believe in . . . In Mashiach (Messiah) there is an understanding of smeared with oil in conjunction with raised up by God to do his bidding. 1. Soundness of faith; a belief in the doctrines taught in the Scriptures, or in some established standard of faith;—opposed to heterodoxy or to heresy. 2. Consonance to genuine Scriptural doctrines;—said of moral doctrines and beliefs; as, the orthodoxy of a creed. 3. By extension, said of any correct doctrine or belief. Noah Porter, ed., Webster’s 1913 Unabridged English Dictionary, (Springfield, Mass. : G. C. Merriam Co., 1913), WORDsearch CROSS e-book, Under: “Orthodoxy”. It could be said that orthodoxy is the “correct” opinion regarding the Creator, the Messiah, the text. Is there a biblical support for this statement? a native of Alexandria, came to Ephesus. He was an eloquent speaker with a thorough knowledge of the Tanakh. he knew only the immersion of Yochanan. they took him aside and explained to him the Way of God in fuller detail. Sobering warning – sobering result. aren’t you being merely human? 5 After all, what is Apollos? Only servants through whom you came to trust. through one of us or through another. but it was God who made it grow. 8 planter and waterer are the same. my brothers, that there are quarrels among you. 13 Has the Messiah been split in pieces? Was it Sha’ul who was put to death on a stake for you? Were you immersed into the name of Sha’ul? What if we parody this? When we do this, we have no common purpose. No common judgment No common opinion. We are nothing but factions valuing our OWN opinions over all others. We are nothing but factions valuing the opinion of someone who says the text says . . .
We are nothing but divided . . .
Orthodoxy is relative to our own theological suppositions, theories and dogmas or the theological suppositions, theories and dogmas of the person or religion that we follow . . . .
We think therefore it is . . .
Don’t confuse opinion with fact. Doing so is NOT the model of the Bereans . . . Confusing opinion with fact is how eisegesis becomes accepted as exegesis . . .
that model is nothing more than the shifting sand of a fool. This entry was posted in Thoughts, Word Studies and tagged fact, opinion, orthodoxy, pride, truth. Bookmark the permalink.